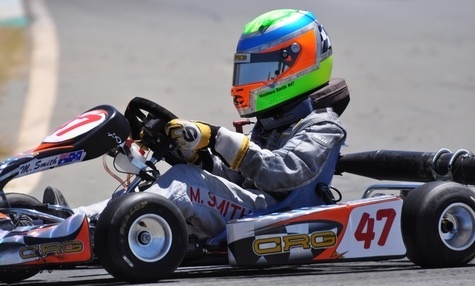 Another notable drive on Friday night was that of Matthew Smith in the Rookies Class. Having lost a front wheel in the previous heat, he had to start the final from position 25 on the grid. Matthew then proceeded to put on one of the most inspiring drives in his new CRG VK1 chassis, finally finishing the race in 12th position.